In case you missed it, check out my first post on standard deviation, here! It covers what it is, why it’s important, what number to aim for, & tips to help lower it. Standard Deviation (SD) is incredibly important to monitor, in fact, it could be just as important, if not more than, average blood sugar (A1C). In my earlier post about why SD is important, I discussed everything you need to know about SD, but didn’t include any visuals. And today, I was unfortunately served a latte with honey in it, so I am *sarcastically* pleased to inform you that I had a horrible SD day & can now show you perfect examples of optimal and poor standard deviation. 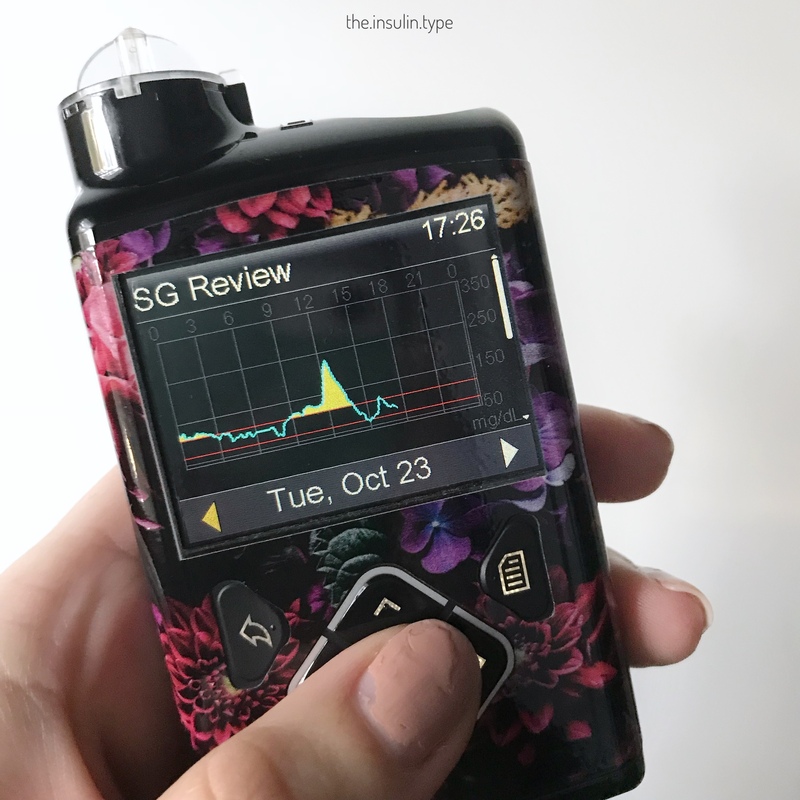 Looking at the first picture, it is evident that my blood sugar and standard deviation were optimal the entire day, with a SG (sensor glucose) average of 99mg/dl and SD of 10. From the graph on the second image, you can see that my blood sugar remained relatively flat the entire day. It did not fluctuate. It remained stable. This is a great example of LOW standard deviation, this feels good, as I am sure you know! 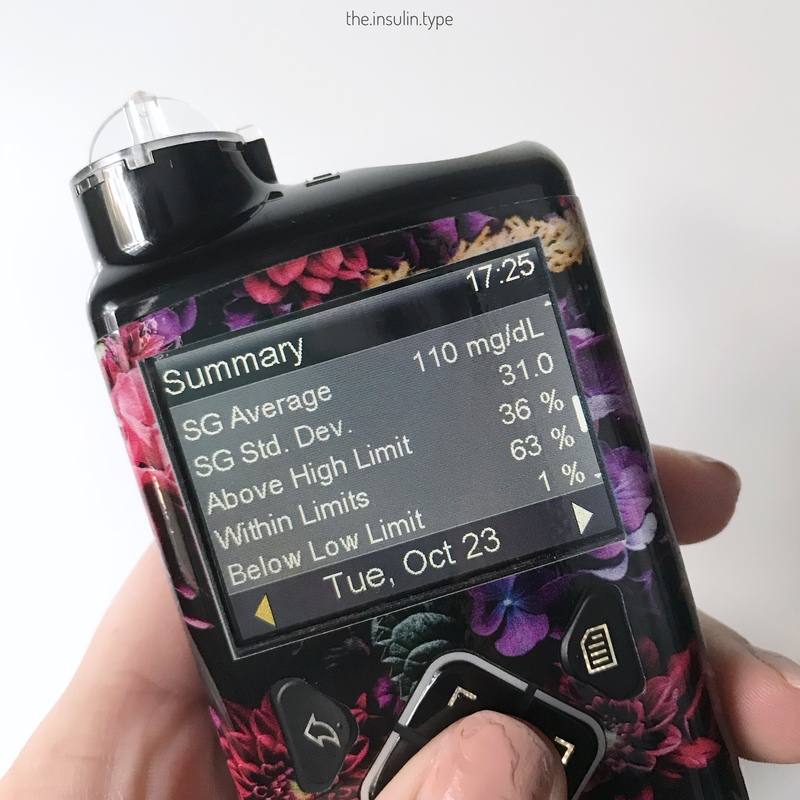 When you look at the first image and see the average SG (sensor glucose) of 110 mg/dl, you might think it’s not such a bad day (however, I aim for average SG to be under 100). But looking at the SG standard deviation of 31, your jaw should be on the floor! In the second picture, the graph, it is obvious that my day didn’t go so well, with a HUGE spike around mid-day. I call it a roller coaster. It was the result of hidden honey in my latte. This is what HIGH standard deviation looks like, and I’m sure you can imagine how it feels too. A high standard deviation indicates a lot of blood sugar fluctuation; chasing highs and lows, as you know, is never fun. It is apparent from both examples that SD is extremely important to measure. By only looking at average blood sugar, there is a boatload of information that doesn’t describe the entire story. The difference in average blood sugar between the two examples was only 11mg/dl. But the SD really tells the whole story. That’s why looking beyond an A1C is crucial. Are you achieving a low A1C because you’re experiencing lots of lows with a high SD? Or are you achieving an optimal A1C with both average blood sugar and SD being in range? It matters HOW you achieve your A1C. So, which graph would you rather have? I hope this was a great visualizer of what standard deviation is, and maybe you can even relate to how it FEELS when it is in optimal vs poor range. If you’re looking for more information on standard deviation and how to lower it, check out this blog post! Thanks for checking it out 😊 thumbs up are always great!